Cool gifts for Apple fanatics who love anything and everything that comes out of Cupertino. New iPhones, new Apple TV, and new iPad Pro. If you happen to love anything and everything “designed in Cupertino, California,” then you have plenty of new Apple gadgets to add to your holiday wish-list in 2015. But for casual gift-giving, the iPad Pro is probably not going to make the most reasonable (or affordable) stocking stuffer. This holiday gift guide for Apple fanboys and fangirls features some of our favorite accessories to personalize and enhance your Apple gear, plus the only art book that has a Mac-style sleep indicator light. Watch the video above to see all these gifts in action. If you are looking to maximize your workspace while using an external display, here’s a simple yet stylish solution. 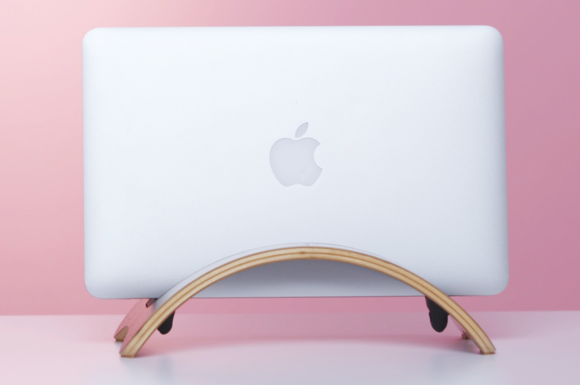 The BookArc möd ($60) is a hardwood stand for any MacBook size and model, whether it be the MacBook, MacBook Air or MacBook Pro. Made by Twelve South, the Apple-only accessories shop, the möd was inspired by the Cherner chair, so you can think of it as fine furniture for your laptop. The stand keeps your MacBook upright to free up space on your desk, and it’s got rubber rings hidden on bottom to keep your cords securely in place, even when disconnected from your Mac. The möd is also the perfect place to keep your MacBook in “closed-clamshell” mode next to your display. 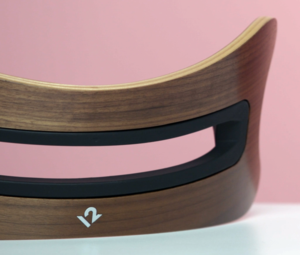 The BookArc möd comes in three wooden finishes: Birch, Espresso and Walnut to match any other wooden accessories you already have. For starters, we recommend the Walnut finish to add warmth to your workspace, otherwise filled with Apple’s signature aluminum gear. Solar power can now be used to charge up your iOS devices. 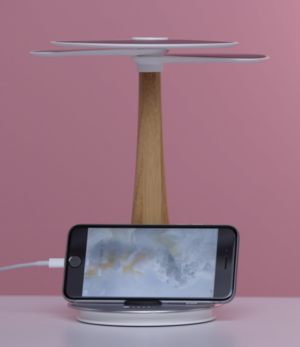 The Ginkgo Solar Tree ($133) had our iPhone fully charged in a little over two hours. 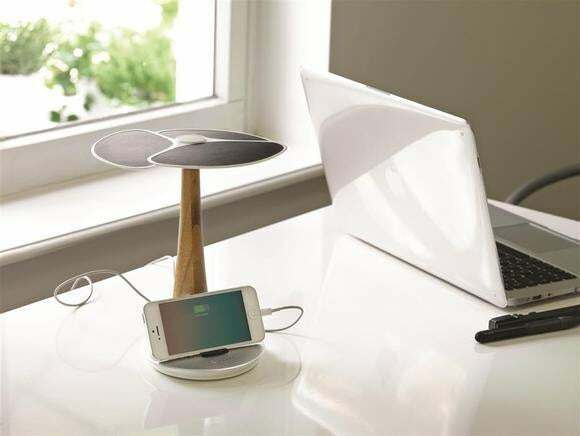 Named after a Japanese Ginkgo tree, this eco-friendly charger can store enough solar energy in its built-in 4,000 mAh rechargeable lithium battery to fully charge your iPhone two times. The Ginkgo Solar Tree is made by Dutch design brand XD Design, which has an entire line of portable solar chargers. The tree itself is eco-friendly, made from recycled plastic, bamboo, and aluminum. Once the tree’s battery is completely drained, you can charge it by setting it in direct sunlight. It took us about eight hours to fully recharge the battery, but if you need to use it sooner than that (or it’s a cloudy day out), you can always plug the solar tree to an electrical outlet via a USB cord—although that definitely defeats the purpose of trying to use clean energy to charge your devices. 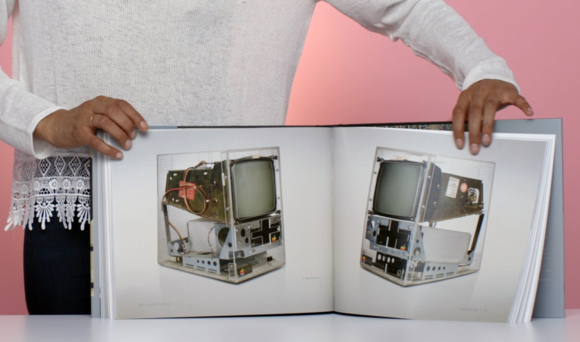 This photo book is sure to stir up warm memories of Apple devices all the way back to the Apple II era. Iconic: A Photographic Tribute to Apple Innovation ($50 - $250, depending on the case) features original photos of Apple’s most celebrated products like the iMac 3G, and rare prototypes like a Mac mini with a dock for an original iPod on top. Iconic even has an entire chapter dedicated to Apple packaging, arguably the reason why unboxing a new product has become a total ceremony. Author Jonathan Zufi spent four years putting together the book, capturing over 150,000 photos of almost every product Apple has ever made and asking Apple influencers to write guest contributions. Steve Wozniak penned the foreword. The book packaging is Apple-worthy in itself. The Ultimate Edition ($250) has an embedded LED that mimics the Mac’s sleep indicator light—you know, that one that looks like it’s breathing. 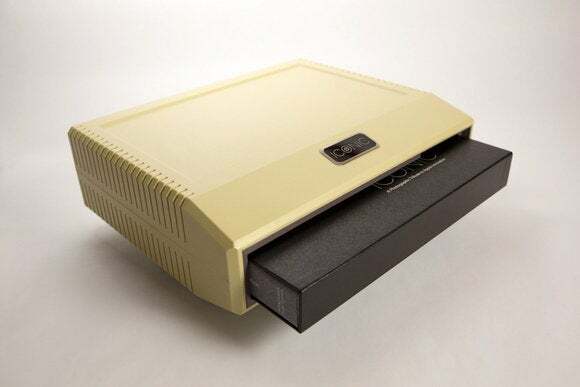 The Special Edition ($250) pictured above harkens back to the Apple II years with a retro book case in that unmistakable beige. Even though the design seems simple, there’s more ingenuity than meets the eye. For example, the Stand has a precision-carved channel on the back to route the Apple Watch charging cable out of sight. The base looks no heavier than the rest of the Stand, but it has a solid piece of copper that makes it three times heavier, so you won't live in fear that your Apple Watch will topple over. 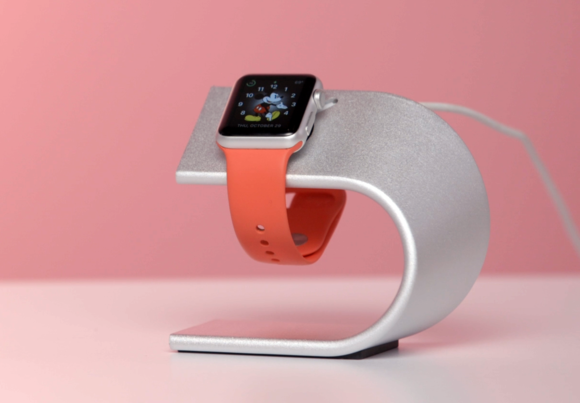 At the bottom, the Stand has a sheet of non-slip rubber that keeps it in place on your nightstand. 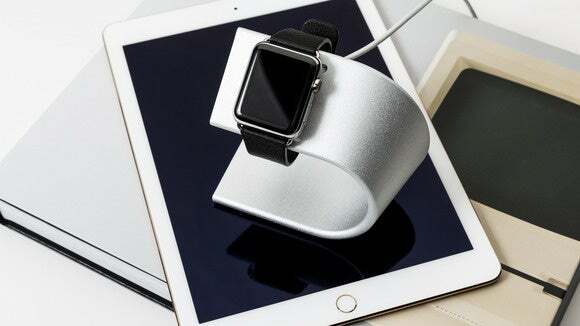 Since there is only one standard Apple Watch charger, this Stand is also compatible with all models, bands, and sizes, both the 38mm and 42mm Watch. Apple claims that the new iPad Pro speakers can blare up to three times the acoustic output of previous iPad models. But you can still get a “soundstage” audio experience from your current iPad Air using the Sound Cover speaker. 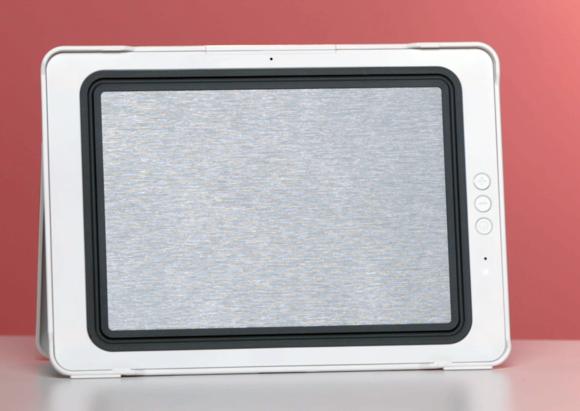 Designed specifically for the iPad Air and the iPad Air 2, the Sound Cover ($200) connects via Bluetooth to boost your iPad’s volume by 400 percent. Sound Cover has a flat panel of speakers and a back stand so you can prop it up. You can also use its built-in microphone during FaceTime calls or conference calls. When fully charged, it has a playtime battery life of about 15 hours depending on how loud the volume is. In addition to being a Bluetooth speaker for iPad, Sound Cover can also be used as a lightweight but sturdy cover that clips to the top of you iPad, making it the most portable speaker for the iPad. Sound Cover comes in three colors: Gold, Silver, and Black. The gold version matches the iPad Air gold color perfectly. Would you be able to recognize your MacBook in a Wi-Fi café full of Macs? 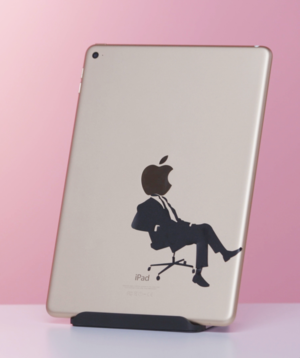 If not, vinyl decals are the most inexpensive way to add a little bit of personality to the Apple gear you already own. Unlike bumper stickers, decals are completely removable and won’t leave any sticky stains. You can put them on your Mac, your iPad, or your iPhone—and even the most intricate decal won’t cost you more than $15. Check out sites like TheDecalGuru.com or VinylInfusion.co.uk for some inspiration. For something one of a kind you could try creating a custom decal—even one of your Instagrams—at StickerYou.com or DecalGirl.com.